Beautiful and luxurious. Villa Lola has the most stunning views over the bay of Cap Martin. Dozens of Donetsk clan families with ties to disgraced former President Viktor Yanukovych are hunkered down in Monaco while their factories churn out god knows what in Kremlin-controlled Donbas — that’s the pitch for this evolving story about two Ukrainian businessmen who became fabulously wealthy and legalized their family’s fortune in Europe and North America. Mykola and Igor Yankovsky, known as the former king and prince of Ukraine’s chemical industry, respectively, exported billions of dollars worth of Concern Stirol fertilisers from eastern Ukraine to Europe during the 2000s. The gigantic enterprise is located in Horlivka, a Kremlin-controlled area of Donetsk region in eastern Ukraine. The population of Horlivka reached 300,000 by the turn of the century. That’s ten times more than the population of Monte Carlo. The Yankovsky family’s rapid accumulation of wealth is evidenced by public records of his companies in the Netherlands, UK and Hungary, Ukraine’s customs service and historical prices for ammonia and urea on world markets. The records were not stolen from a bank or obtained under false pretenses. The information is now publicly available. Concern Stirol from the 2000s sold billions of dollars of chemical fertilizers at discounted prices to companies Igor Yankovsky owned abroad. These companies, in turn, re-sold same to traders at market prices. Igor and his father pocketed the difference in price, also known as the margin. Prosecutor General’s Office of Ukraine Spokeswoman Larisa Sarhan confirmed on September 13 that her office has opened a criminal investigation into large-scale tax evasion based on the information in this investigation. Sarhan deferred comment until the competent law-enforcement agencies decide how best to proceed. To that end, I agreed to assist investigators in charge of the case. Mykola Yankovsky was among 28 members of disgraced former President Viktor Yanukovych’s hunting club. He is pictured in the middle of this photo collage shaking hands with disgraced former head of Ukraine’s state arms manufacturer Ukroboronprom Dmytro Salamatin. More than a dozen new states emerged during the 1990s as the economies of the former Soviet Union collapsed. So-called Red Directors at the time managed huge industrial enterprises. Many wanted the freedom of the market for themselves but regulations for others. Some amassed great wealth during the chaos. Others purchased the enterprises they managed. Mykola Yankovksy was the epitome of a Red Director. His Communist Party membership card, emblazoned with the portrait of Lenin and Marx, did not constitute an impediment to self-enrichment at the expense of the Ukrainian taxpayer. Yankovsky in 1988 was appointed general director of Concern Stirol in Horlivka, Donetsk region. It was the biggest enterprise in the city of about 300,000. Ten years later he owned it. The enterprise, located in militant-controlled territory in eastern Ukraine, was — and remains — a gigantic producer of drugs, fertilizer and chemical products. Mykola had enough money to buy a controlling stake in the enterprise when it was privatized during the 1990s. He and his only son Igor created a web of shell companies in the Netherlands, UK and Hungary during the 2000s to buy and sell Concern Stirol exports. 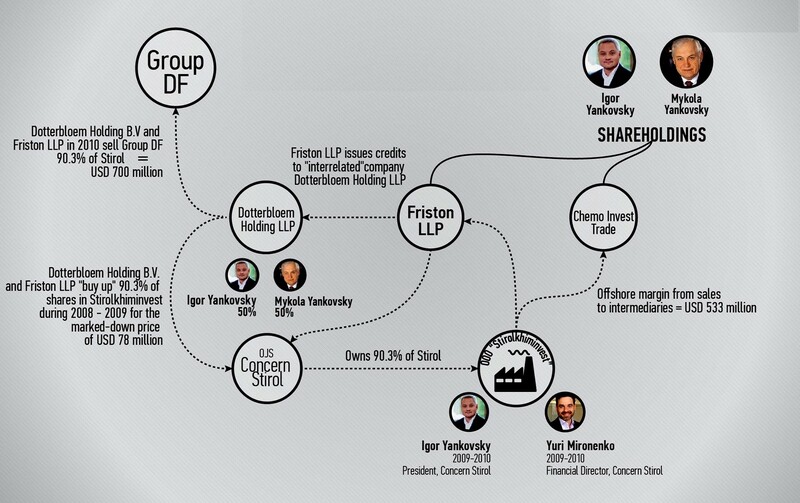 The Yankovsky family sold to themselves for less than they charged traders on the open market. This investigation looked at records from Ukraine’s unified Customs Service database during the 2000s when Yankovsky was in charge of Concern Stirol. The files list all registered export contracts, contract amounts, terms of delivery and the names contracting agents. 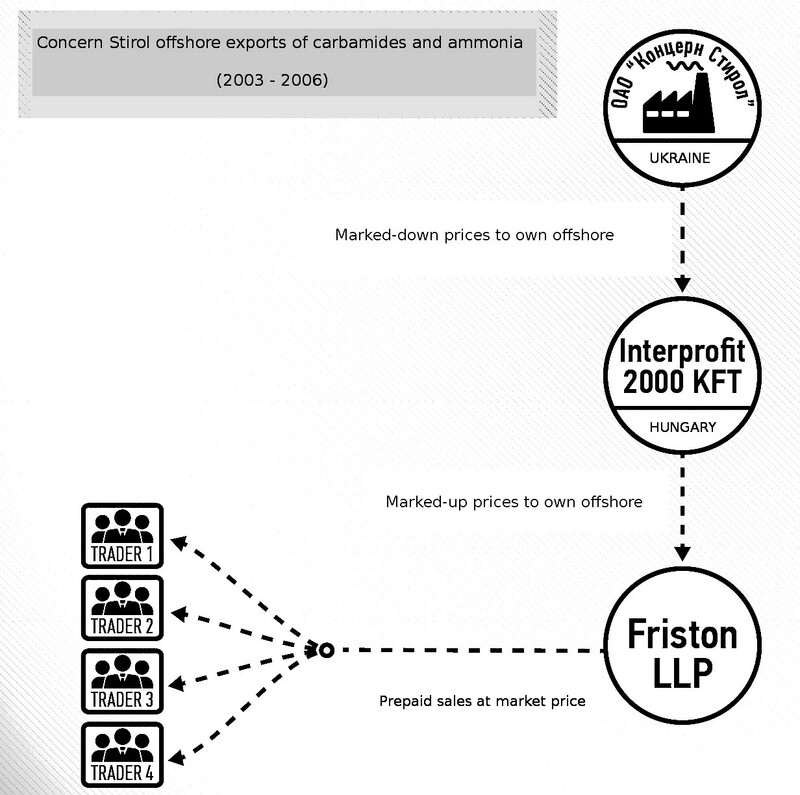 The database shows ammonia and urea exports from the plant were made to Interprofit 2000 KFT, a company registered in Hungary, and resold to/or via an interrelated UK-based limited liability partnership, Friston LLP. 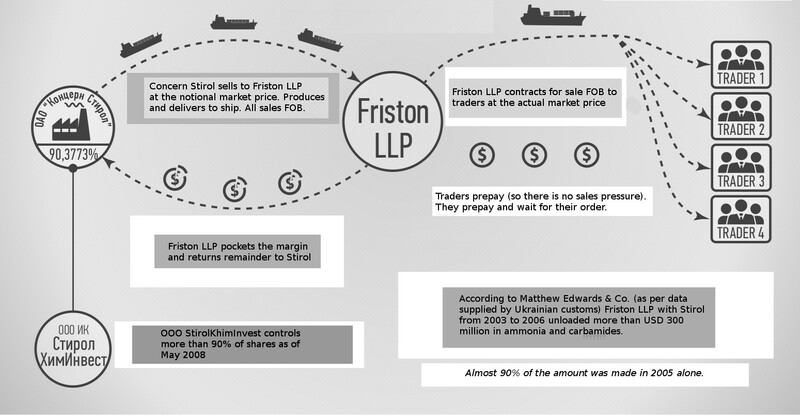 Friston LLP is a public company under UK jurisdiction it is obliged to conduct and make public annual audits. Matthew Edwards & Co. conducted the audits, portions of which are available to the public. 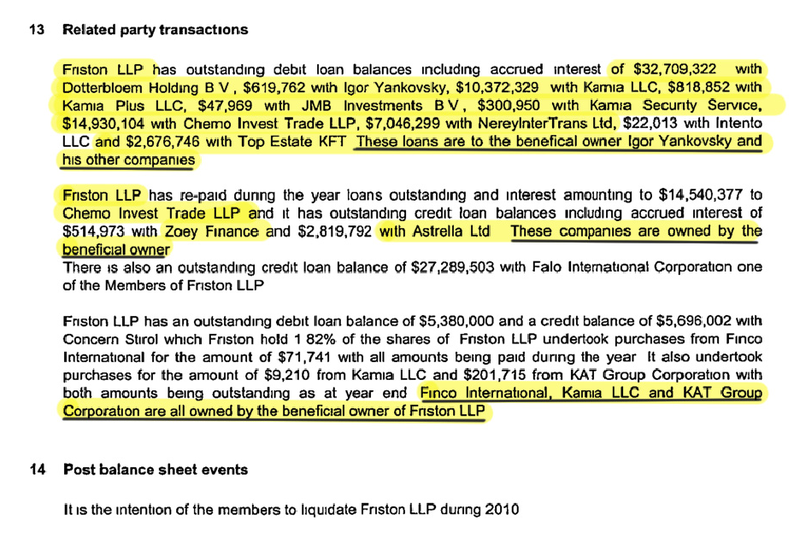 The audits say Mykola and his son Igor Yankovsky are the beneficial owners of Friston LLP. The audits also report loans made by Friston LLP to its beneficial owners for the purchase of real estate and vehicles. 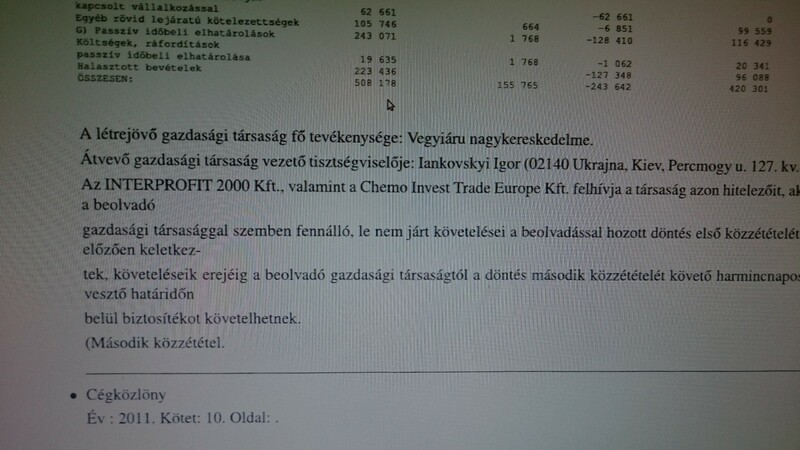 In addition they reveal that Igor Yankovsky was the beneficial owner of Chemo Invest Trade LLP, another interrelated shell company, which in 2006 replaced Friston LLP in the chain of Control Stirol’s ammonia and urea exports abroad. The next step in this investigation was to find out who owned Interprofit 2000 KFT, which had several times re-registered its address and directors. A Hungarian legal firm obtained company documents from the registrar, which lists Igor Yankovsky and Svetlana Sukhina (Igor Yankovksy’s wife) as its beneficial owners. So we can make the following conclusion with 100 percent certainty: The entire chain of offshore shell companies through which Concern Stirol’s ammonia and urea exports were conducted belonged to one family — the Yankovsky family. Historical Monday prices (Profercy journal) were used to determine the market value of ammonia and urea traded on world markets during the 2000s. 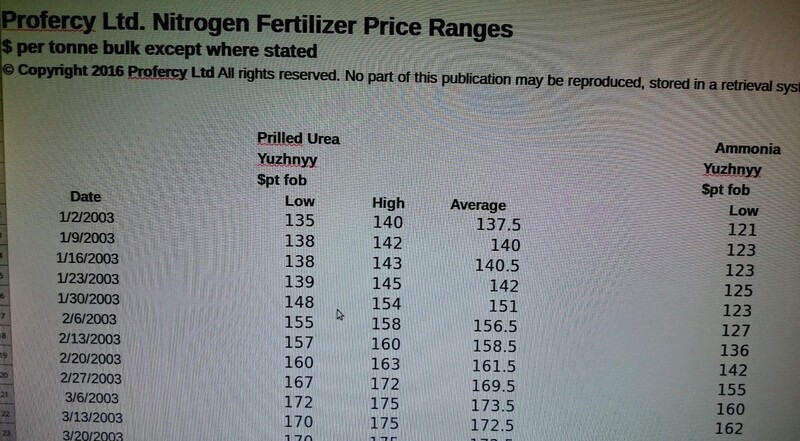 The comparison between world market prices for ammonia and urea (Profercy) with volumes/price for Concern Stirol sales of ammonia and urea (Ukraine’s Customs Service database) is the basis for calculating the hundreds of millions of USD the Yankovsky family put in their pockets. The margin exceeds USD 300 million. The calculation is based only on official documents about three companies owned by the Yankovsky family. The investigation involved only two export commodities — ammonia and urea. Concern Stirol produces dozens of products. The Yankovsky family in 2010 sold the chemical production divisions of Concern Stirol to Group DF in 2010 for a reported USD 700 million. This investigation examined data only up to the year 2008. Forbes-Ukraine estimated in 2011 that Mykola Yankovsky was worth USD 181 million. He appears to have been grossly undervalued. Concern Stirol was sold to Group DF for USD 700 million in July 2010. Dmytro Firtash probably made an initial offer in 2009. Top managers at the plant subsequently resigned officially, “for personal reasons,” en masse. 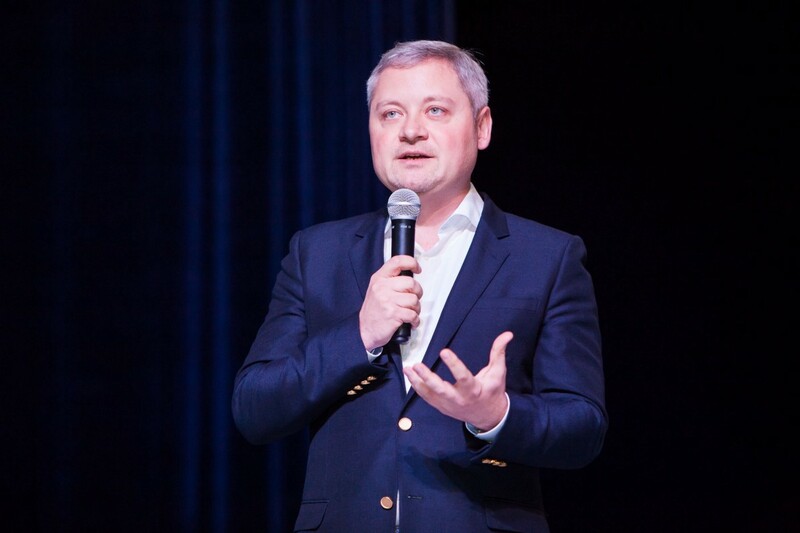 Pre-sale preps: Igor Yankovsky becomes Concern Stirol president. Yuri Mironenko is appointed Concern Stirol financial director. Friston LLP concentrated 14% of Concern Stirol shares, acquired 76% stake in Stirolkhiminvest — Doetterbloem Holding B.V. by way of Friston LLP and Chemo Invest Trade LLP loans. The transactions are recorded in the annual audit report filed by Matthew Edwards and Co. They show the value of the stock block (90.3% Stirolkhiminvest shares) concentrated in both Yanukovsky shell companies (Friston LLP and Chemo Invest Trade LLP), for @USD 75 million. The block was sold for USD 650–750 million to Group DF in the summer of 2010. That’s in addition to the the more than USD 500 million skimmed off fertilizer sales through shell companies registered in Hungary and the UK during the 200os. 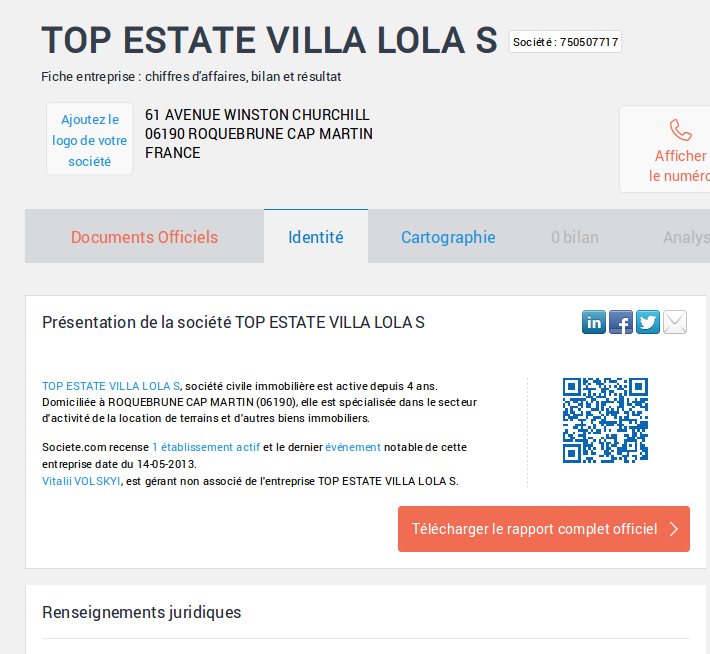 It hasn’t exactly been a secret that the Yankovsky family owns real estate in southern France, but journalists couldn’t document this fact. Until now. The Yankovsky family agreed to put up their villa for rent September — June for USD 20,000 a month, while they lived there themselves in July and August. That’s how photos of the digs appeared on the Internet. Just Google it: http://bit.ly/29sqHf1 It used to belong to Dolce and Gabbana. Igor Yankovsky’s Top Estate shell company managed by Vitaly Volsky oversees the property. Volsky, a Ukrainian citizen, is a former employee of Concern Stirol and worked in Yankovsky’s offices in Budapest during the 2000s. Volksy’s name pops up in several other shell companies. He tops the list of notables in the story about Igor and the Hugarian washing machine. Mykola Yankovsky’s only son, Igor Yankovsky, 42, spends most of his time these days outside of Ukraine, often appearing at receptions of charity events or as a philantropist who helps children and aspiring artists. Igor bought one barrel of rare French wine for eur 270,000 at charity auction in 2012. The expense reportedly got him a lunch date with former French President Nicolas Sarkosy and his wife, Carla-Bruni Sarkozy, who delivered the beverage in person. A year earlier Igor shelled out USD 22 million for a NYC townhouse with an 80-meter long swimming pool in the basement. Igor’s DIAMOND SPHERE GROUP company, meanwhile, sponsored Team Ukraine racing with Ferrari.” The gifting exercise helped Ukraine’s squad take top team honors in 2013. 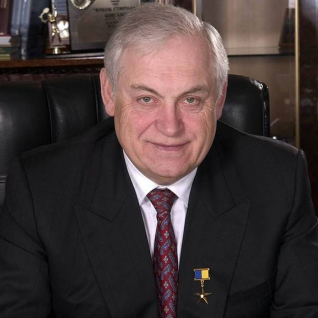 Mykola Yankovsky, 72, is a veteran Ukrainian industrialist and politician. He headed Concern Stirol during Soviet days until its sale in 2010. Mykola is the epitome of a Red Director. He is known for his ability to reach compromises with local prosecutors and tax authorities, many of whom early on saw through the simple offshore shell company schemes used by the enterprise. As deputy to the Donetsk region parliament in 1994 and 1998, Mykola Yankovsky helped decide who was picked to run local law-enforcement authorities. 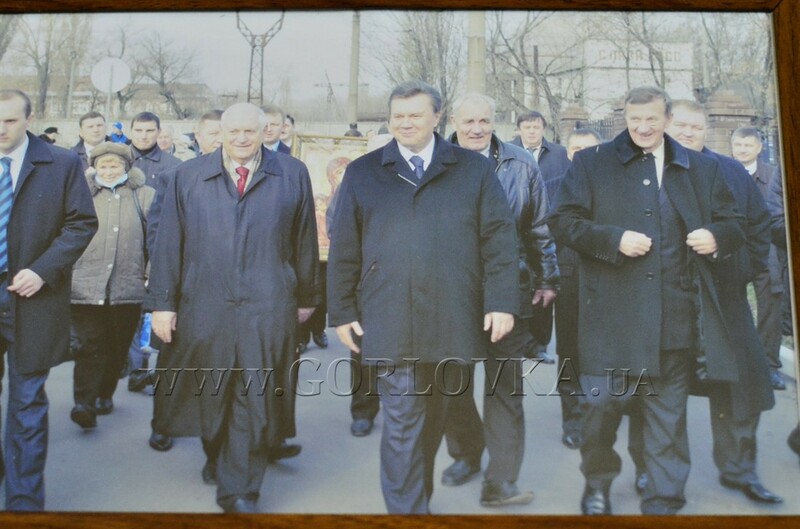 Mykola Yankovsky in 2001 joined the Party of Regions led by Yanukovych and backed by Donetsk clan leaders. He was twice elected to Ukraine’s national parliament, in 1998, and in again 2004, when he was a top advisor to the Yanukovych presidential campaign that ended in the Orange Revolution. Mykola was among the most influential members of the Party of Regions hierarchy when Yanukovych gave the order to use deadly force against anti-government protesters in downtown Kyiv. Riot police on February 20, 2014 shot dozens dead. 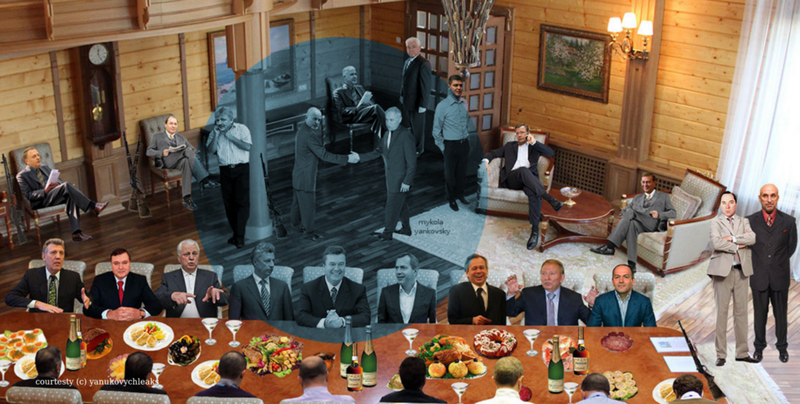 Yankovsky’s relationship with Yanukovych was personal as well as commercial. 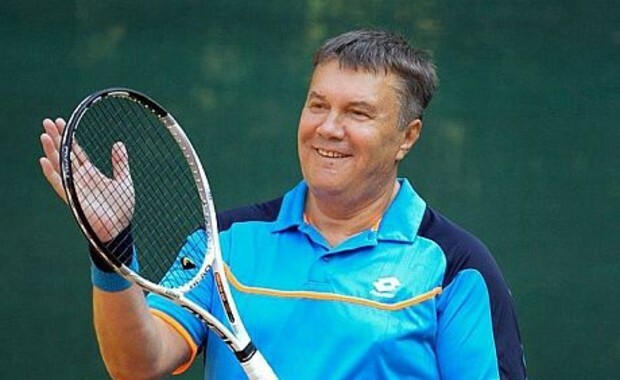 He introduced Yanukovych to the sport of tennis. Mykola also belonged to the exclusive Cedar (Kedr) hunting club outside of Kyiv. There were only two dozen members. The chemical production assets of Concern Stirol in 2010 were sold to Group DF (Dmytro Firtash), an international group of the companies specializing in sales of nitrogen, titanium and natural gas. Firtash, who has been accused by US officials of bribing Indian officials to secure a titanium deal, is currently in Austria fighting extradition to Chicago in the United States. The part of the enterprise that produced pharmaceuticals, Stirolbiofarm, was not sold. Stirolbiofarm in 2006 was accused of producing and distributing the addictive Tramadol painkiller in state-owned pharmacies in Donetsk region. Then Prime Minister Yanukovych quashed the scandal. Ukraine’s State Security Service in 2016 opened a criminal investigation into the activities of Stirolbiofarm on suspicion of financial terrorism. The announcement coincided with visits to Stirolbiofarm by leaders of the self-proclaimed Donetsk People’s Republic (DNR). DNR field commander Oleksandr Khodakovsky on March 27, 2016 said on his Livejournal page that narcotic drugs are produced at the plant, which is inaccessible to Ukrainian troops and Kremlin-backed militants groups. “The few people who knew what actually going on there could not say much because they disappeared so quickly,” Khodakovsky said. 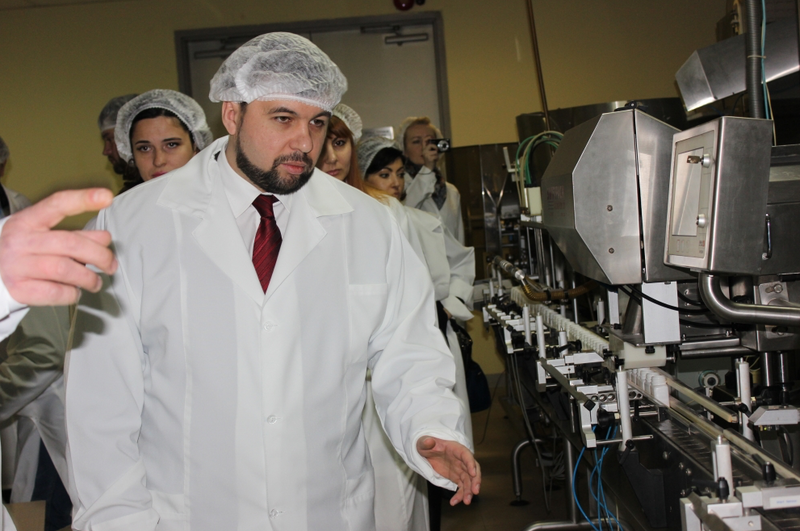 mykola yankovsky sells concern stirol to dmytro firtash during the summer of 2010, but retains control of stirolbiofarm, a modern pharmacological production enterprise. the plant today is in no-man’s land in an area not fully controlled by ukraine. it is not paying taxes. the propaganda tv station of the self-proclaimed donetsk people’s republic, or dnr tv (see: dnr-info), aired footage of dnr leaders visiting the stirolbiofarm plant, thanking company owners for producing much needed medicines for the population in areas occupied by kremlin-led military groups. 19. misleading news on uknown russian buyer of concern stirol appears in the in the pr press. 20. uk firm friston llp and david rubin & partners. 27. social media life — igor yankovsky’s facebook page. igor has 15 friends, starting with his wife svitlana sukhina and including yuri mironenko, a trusted manager for the family turned ngo director. two former parliament deputies expelled from the ranks self-defense (samopomosh) party faction — anna hopko and viktor krivenko, as well as a parliament deputy from mykolaiv, boris kozyr, are also on the list. aeksandr glus, the scandal-mongering former co-founder of nemirov is also a friend. gabor hartman of the duna medical center in budapest is one of two foreigners on the list, which also includes reuben f. johnson, an american journalist employed by the weekly standard. concern stirol shares were bought a one price by the yankovsky family and sold to firtash for quite another. group df bought the fertilizer production bits of the concern in 2010.top estate kft (hungary) is a company catering to the personal needs of igor yankovsky family. his house outside of budapest in the village of telki and several cars are registered to the firm. ukrainian companies kamia, kamia plus, nereyintertrans are used for commercial projects, including a port construction project in mykolaiv in southeastern ukraine. kamia security service employs a small army of ex agents from ukraine’s state security service. after sale of concern stirol to group df in 2010 funds were removed from dotterbloem b.v.
hungary, 1037 budapest, montevideo u.3/b 3 em. peter byrne is а рассеянный journalist who looks after his daughter. he spends his free time collecting ideas, running and learning new technologies.